We cannot think of many combinations more perfect than dill and our supple Jack cheese. 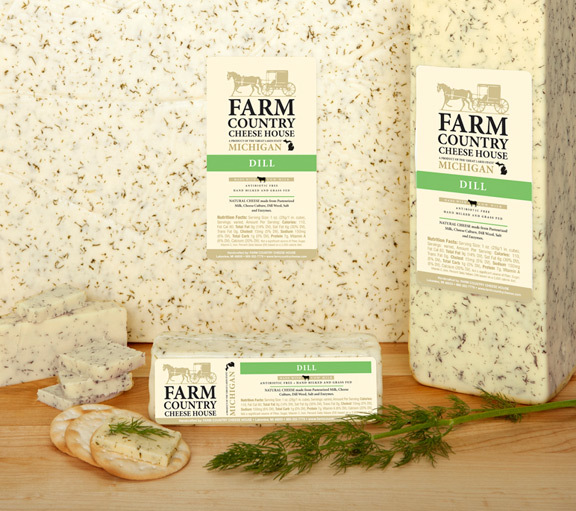 The creamy mild Jack has a slight buttery aroma and is given a subtle pop of flavor by the addition of fresh farm grown dill. This sweet and mellow cheese matches well with light bodied wines, figs, pears and nuts. 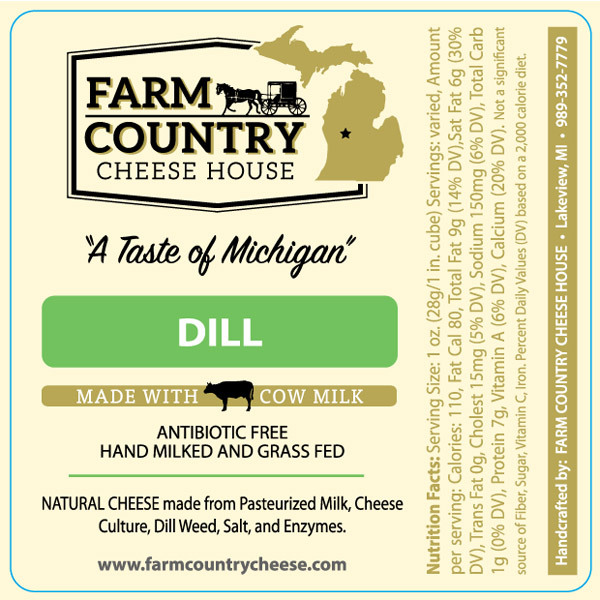 Natural Cheese made from Pasteurized Milk, Cheese Culture, Salt and Enzymes.